According to Dr. Stephen Barrett on the medical myth-busting website Quackwatch, about 2 percent of adults suffer from food allergies. Of those afflicted with food allergies, most are allergic to less than four different types of food. Although allergies to strawberries and oranges are not as common as other types of foods, both of these fruits can cause symptoms ranging from mild to severe in those who are allergic to them. When you have an allergic reaction to a type of food, this is caused by your body's immune system trying to defend against the entry of an allergen into the body. People who have food allergies can have a variety of different reactions to an allergen, depending upon the severity of the allergy. Symptoms of food allergies are often mild, but in extreme cases, they can be life-threatening, especially when a food allergy can result in anaphylaxis. 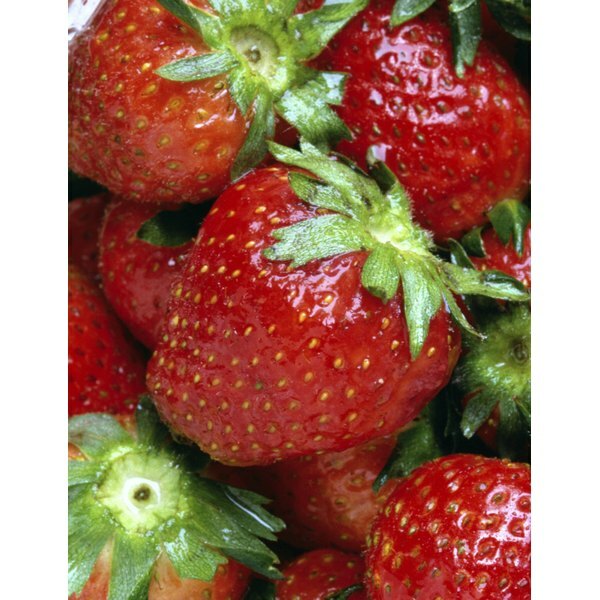 The most typical symptoms associated with an allergy to strawberries occur in the region of the mouth. According to the University of Maryland Medical Center, those with oral allergy syndrome may find strawberries cause their lips, throat and tongue to swell. In other cases, nasal congestion may result, while some people may experience digestive problems such as vomiting, cramps and diarrhea. In rare cases, patients may experience a severe reaction involving the cardiovascular system. Although allergies to oranges are far less common than strawberries, orange allergies can be severe. In an orange allergy, contact with this allergen causes the immune system to produce a histamine called immunoglobulin E. Symptoms of an allergy to oranges can most typically include include runny, congested nose and watery, irritated eyes that may also be red and itchy. Anaphylaxis is extremely rare with oranges, although not entirely beyond the realm of possibility. Anaphylaxis is a severe, life-threatening allergic reaction that, although rare, can occur in people with allergies to either strawberries of oranges. Symptoms of anaphylaxis include constriction of airways, the feeling of a lump in the throat or that the throat is closing up, shock, a rapid pulse rate and dizziness, lightheadedness and, in severe cases, loss of consciousness. Anaphylaxis symptoms will typically begin within minutes of being exposed to the allergen, although they may take longer to appear. At the first sign of anaphylaxis, seek emergency medical treatment immediately. Can Eating Too Many Strawberries Cause Hives?